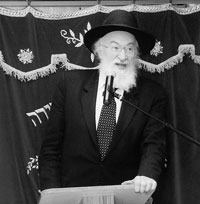 In the conclusion of this four-part tour de force discourse on Halacha and biology, HaRav Yisroel Belsky, a Senior Halachic Consultant for the Orthodox Union and Rosh Yeshiva of Yeshiva Torah VDaas discusses the post-shechitah aspects of meat preparation. Learn here about the need to avoid mix-ups in the slaughterhouseeven between kosher and kosher! Plus, Rabbi Belsky discusses the the very practical impact of Hilchos Traifos (the laws of organic pathologies) on the consumer.